4 VALUE PACK! 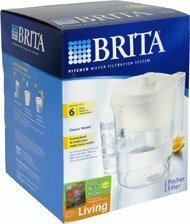 You are buying FOUR of Brita 35548 Classic Pitcher [Kitchen] #VALUE! If you have any questions about this product by Clorox Sales Co Brita Div, contact us by completing and submitting the form below. If you are looking for a specif part number, please include it with your message.